The JUGS BP1 Combo Pitching Machine for softball and baseball comes complete with a baseball chute and long straight legs for baseball and a 12″ chute and small curved legs for softball. With a digital readout display you can set your JUGS BP1 combo machine to throw at the exact kph you desire—you decide which speed is best for your players. Throws 11″ or 12″ softballs, JUGS Sting-Free softballs, JUGS Lite-Flite softballs, JUGS Softie softballs and the JUGS Bulldog polyballs. 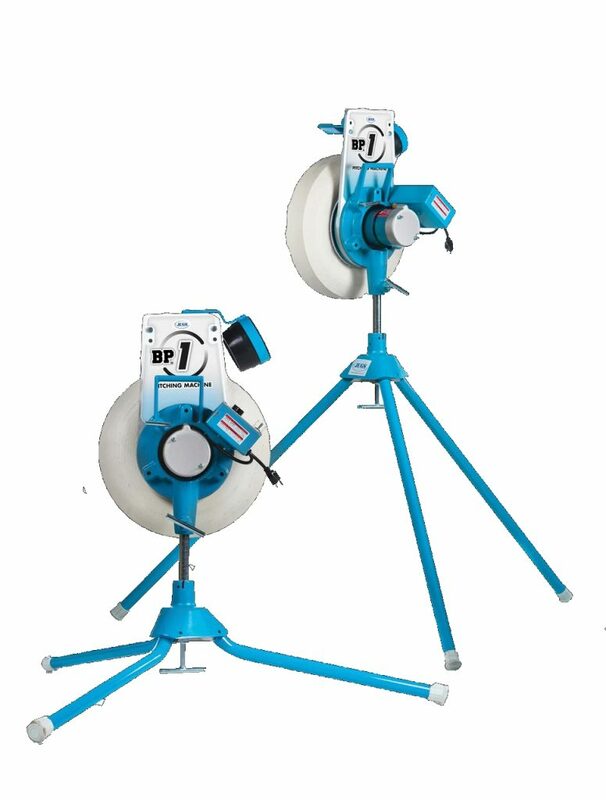 JUGS Softball Pitching Machine comes standard with a 12″ chute (11″ chute sold separately).